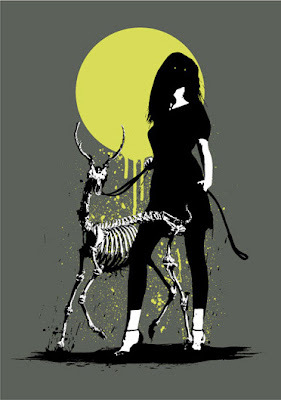 Online store FUSShop have copies of Eelus' new screenprint "Deer-e-me". Hand screen print on 500x700mm heavy art paper, limited Edition of 200 only, signed, numbered and embossed by Eelus. Every print comes with a stamped Certificate of authenticity. Available now on FUSShop.